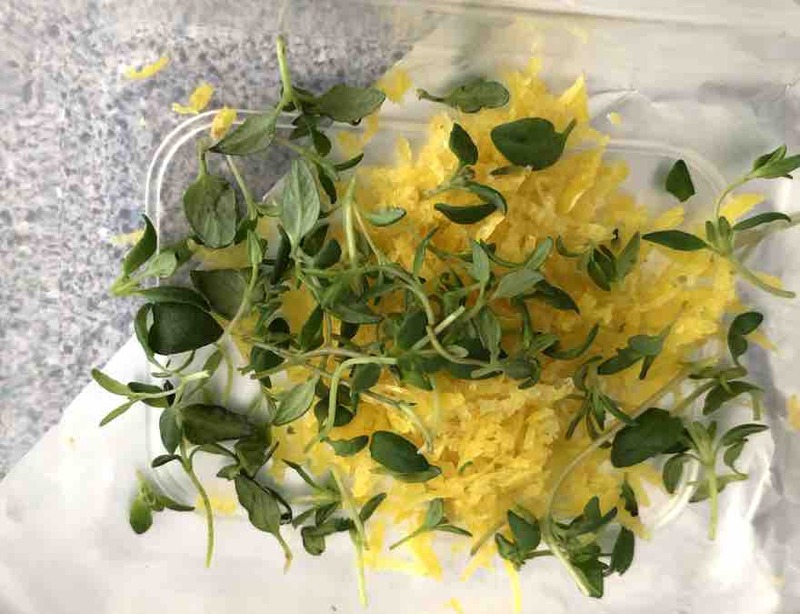 I was wanting this lemon and thyme rock salt combination for a recipe that I am going to try. I will share the recipe of course if it tastes good. However when I went to purchase said salt mixture I was a little shocked at the price. A staggering £27 per kilo. When I made this at home it gave the kitchen amazing aromas. Even now when I remove the lid the smell is divine with this homemade version. Of course we are Cheap Dinner Ideas and we are not be going to pay that for something basic. So homemade lemon and thyme salt it was then. 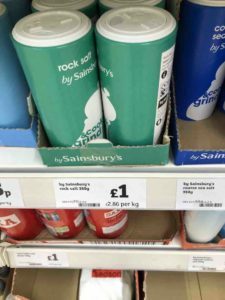 So first I bought some basic supermarkets own brand rock salt Coming in at £2.86 per kilo that makes the Lemon and Thyme rock salt ten times more expensive. 10x can you believe that. The next thing I had to buy was an unwaxed lemon, I bought them from Sainsbury’s and cost me £1.50 for 4. That works out at around 38p each. 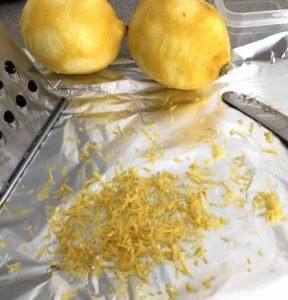 I only used 1 lemon and once grated I sliced it up and put it in the freezer to add to drinks or fish dishes. 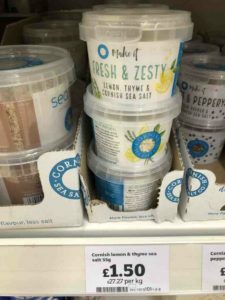 I used around 100g of the rock salt (35p) and if you add the cost of the lemon (38p) it comes to 73p for 100g. The thyme was of course free from the garden. This post tells you what herbs you can grow in your garden for growing and cooking. 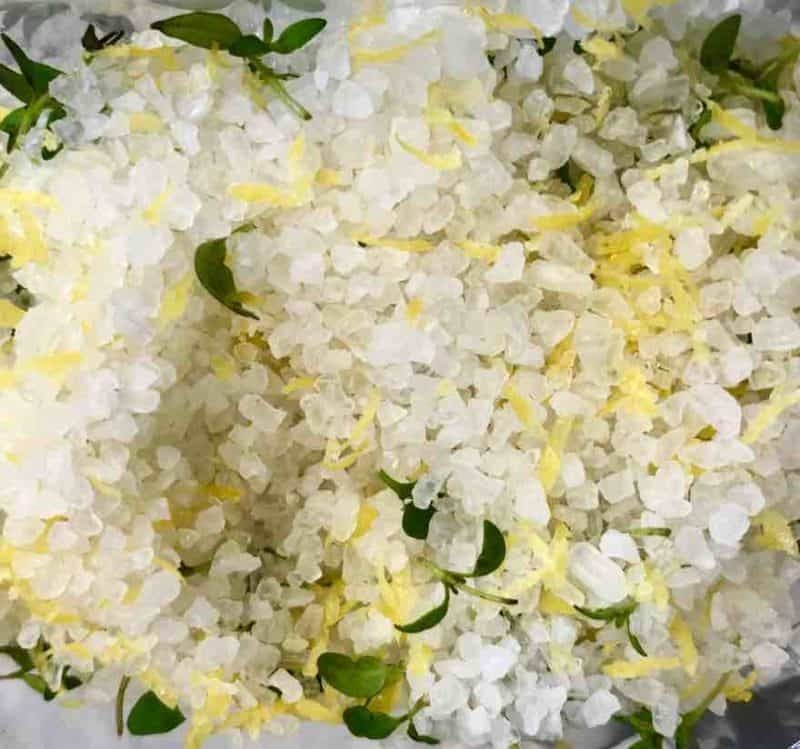 Now just add the salt, the natural qualities will dry out the lemon zest and the Thyme.